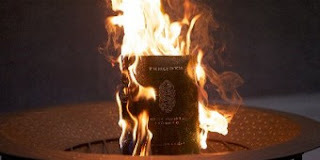 In what could chill the dedication of every soldier in the field, the U.S. government has refused to deny reports by the government of Afghanistan that claim NATO has agreed to have the soldiers who burned copies of the Quran face trial. Last week Afghan president Hamid Karzai demanded NATO turn over the U.S. troops to be tried in Afghanistan for the incident. Barack Obama subsequently sent a letter to Karzai reassuring him that the troops involved would be punished for their actions. It is unclear exactly what Obama meant by that statement as the White House has not released the full text of the letter. However the Afghan government may have provided insight into its contents.